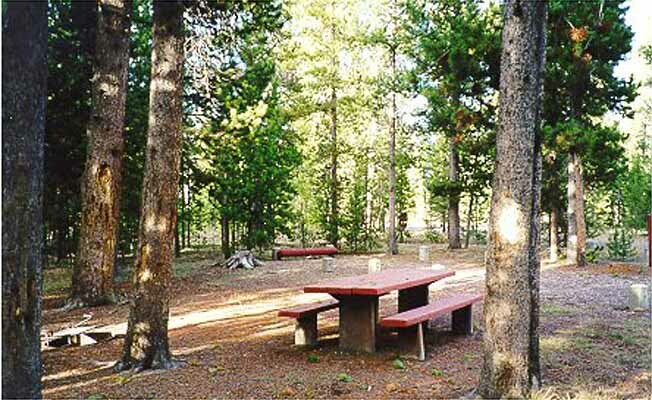 Rainbow Point Campground is located in the Gallatin National Forest in southwest Montana. This is a large campground located near a lake and just outside of Yellowstone National Park. At an elevation of 6,500 feet, this campground encompasses 4 acres. There are 85 designated campsites which have access to water, handicap accessible restrooms, firewood and trash pickup. 15 of those sites have electrical hookups. Tents welcome. Fishing, swimming, and boating may be enjoyed on the lake and a boat launch is available. Don't let the pets miss out--they're welcome too but must be kept on a leash in the campground. Maximum trailer length is 40 feet. This is a fee based campground, stay not to exceed 16 days.